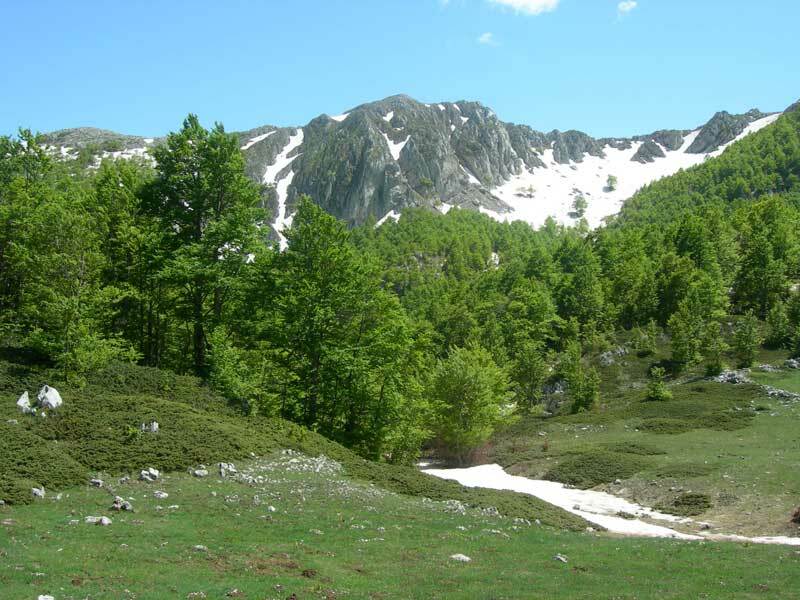 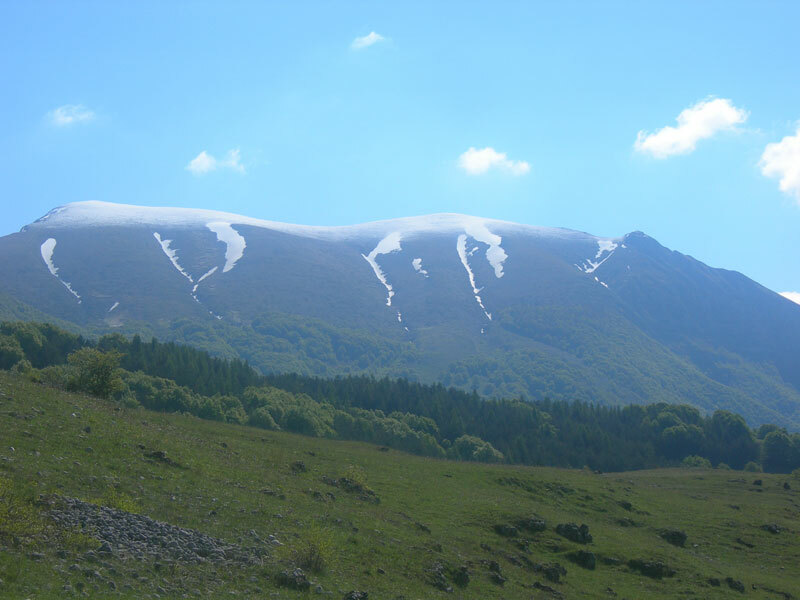 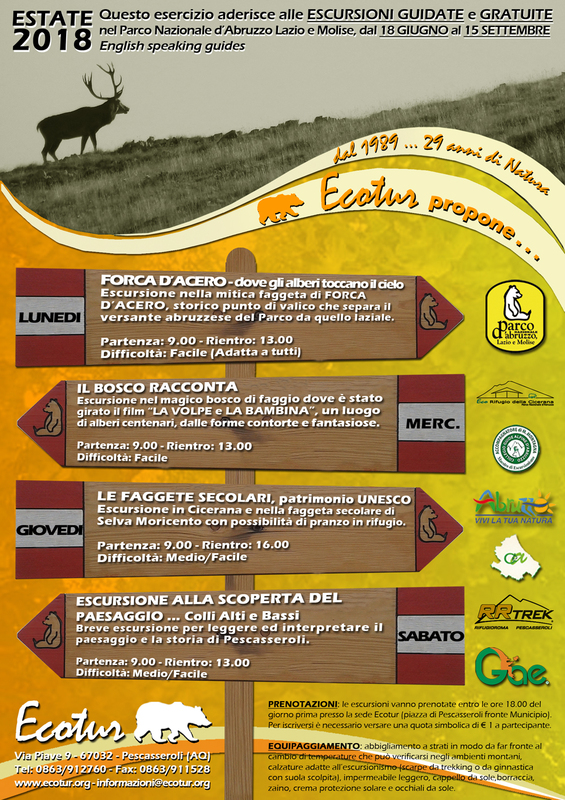 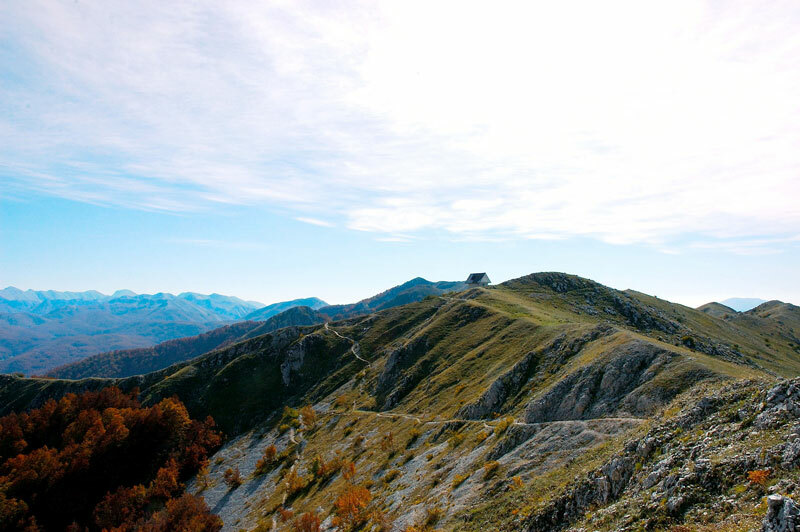 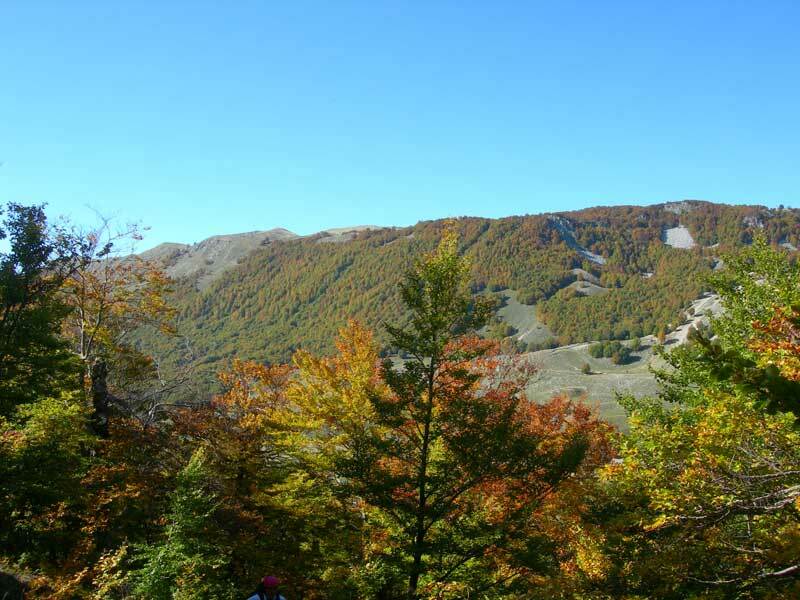 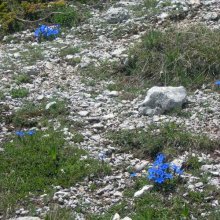 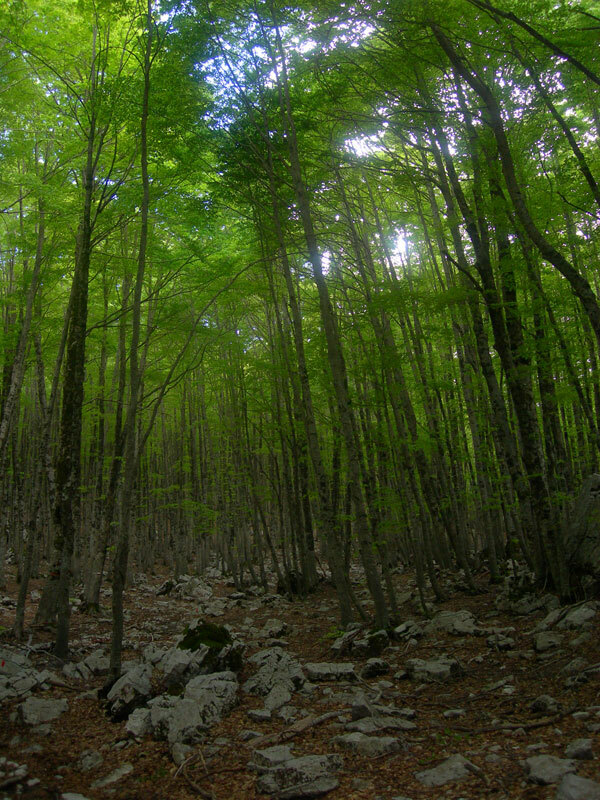 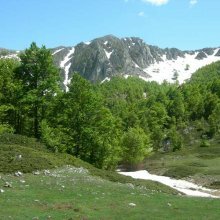 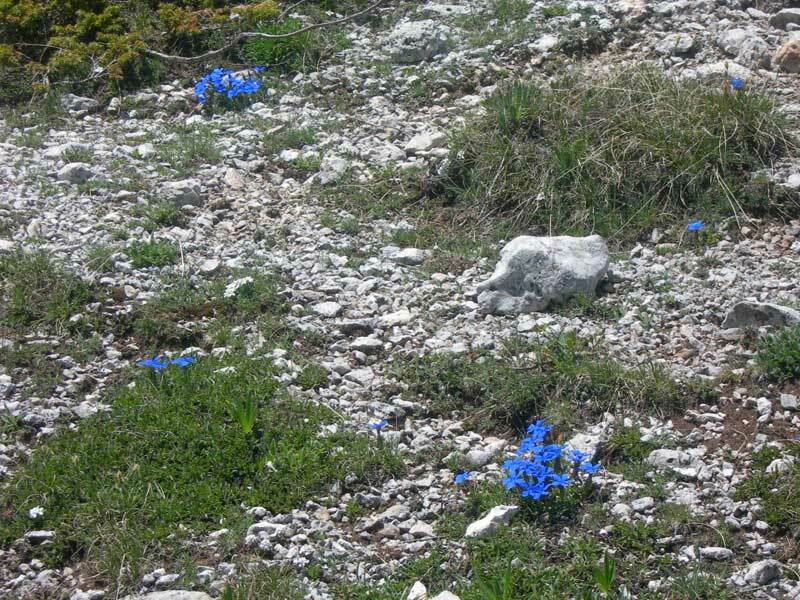 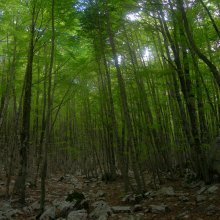 We are located in the heart of the National Park of the Abruzzi, one of the most ancient and important parks in Italy. 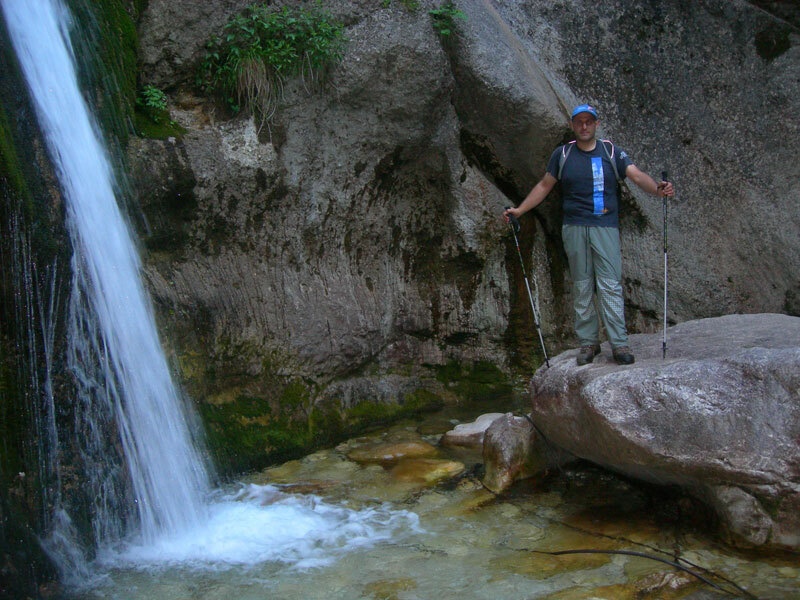 A veritable paradise for those who love the beauties of nature and related activities. 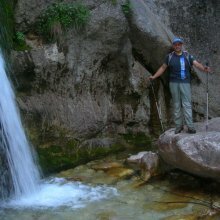 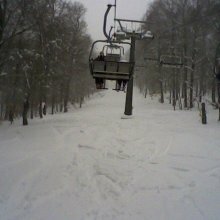 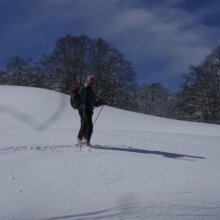 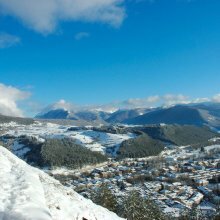 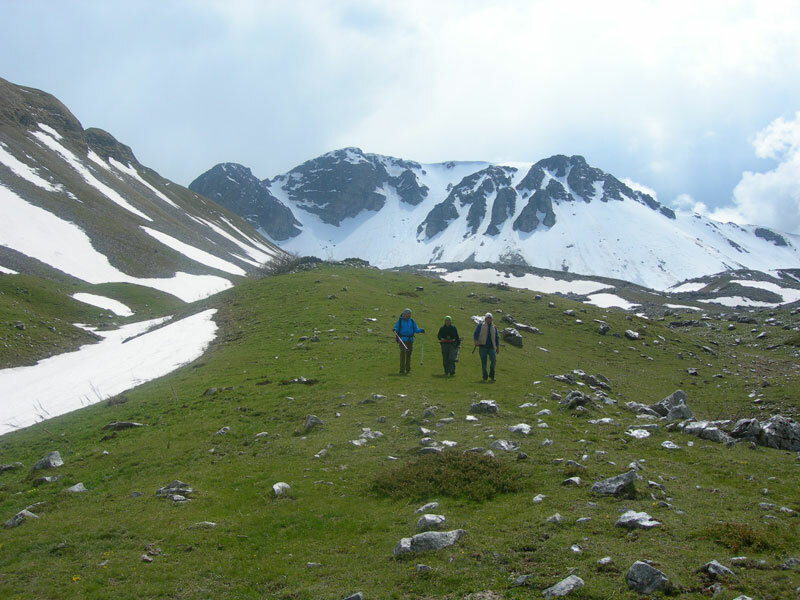 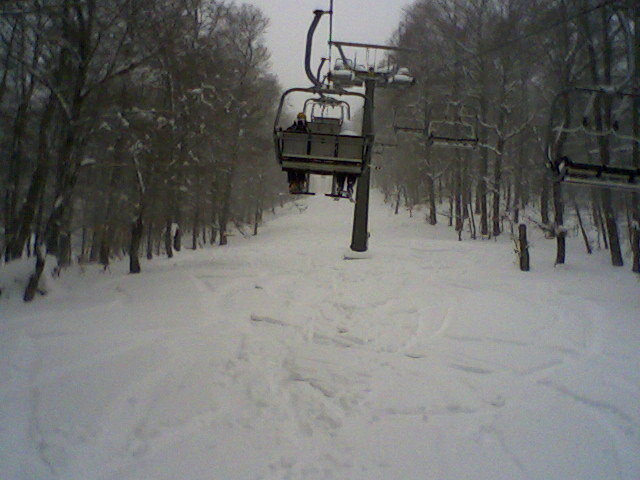 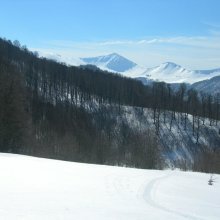 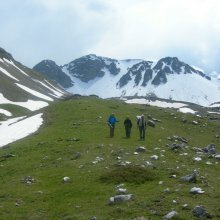 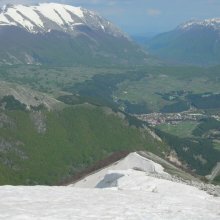 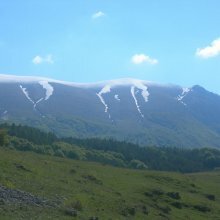 An ideal place for hiking, bikeriding and horseriding, and in winter, skiing and snowshoe walking. 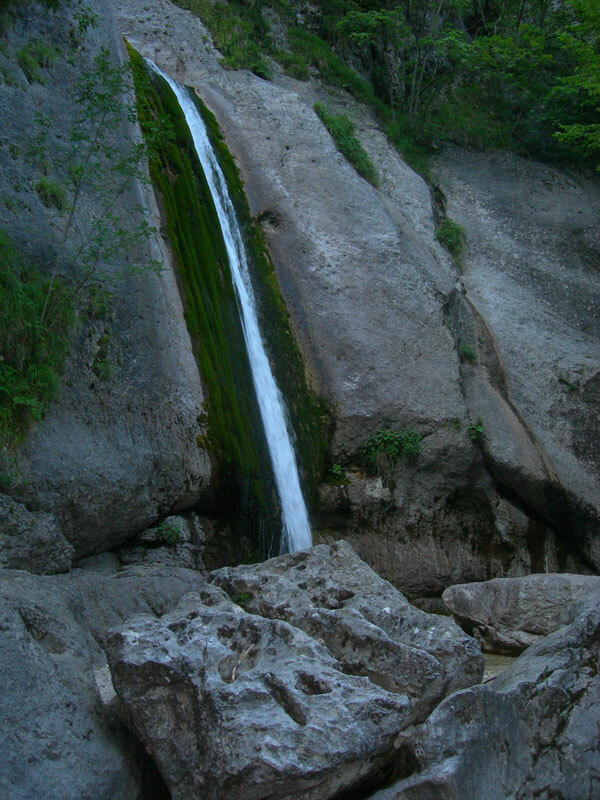 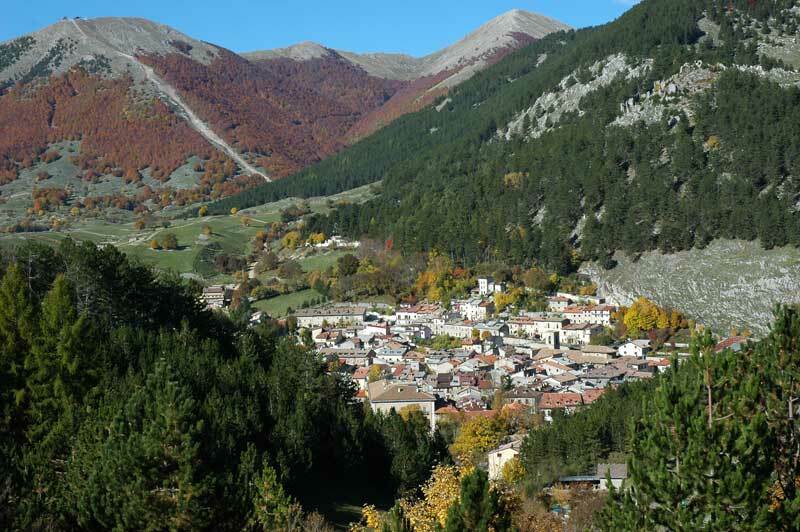 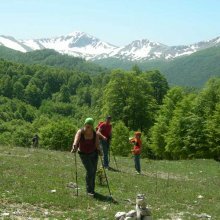 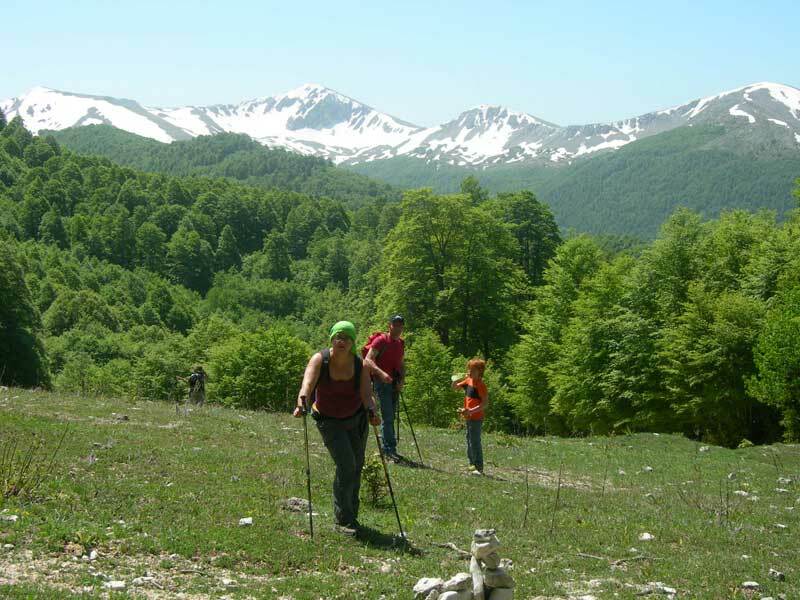 The Park territory is covered in a tight network of walking trails which permit the exploration of the entire territory through valleys with ancient beech forests, gorges, canyons, streams and lakes, up to the highest peaks over 2000 metres high.Guests may participate in excursions and organized tours with qualified guides who may be contacted through various agencies in the town. 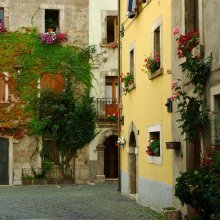 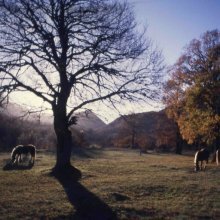 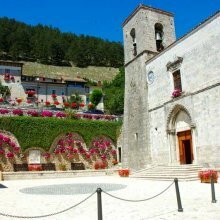 In the park there are around eighteen municipalities which underscore the age-old attachment of human beings to their incontaminated territory.All of this has promoted the blossoming of the typical rural culture of the internal areas of Southern Italy. 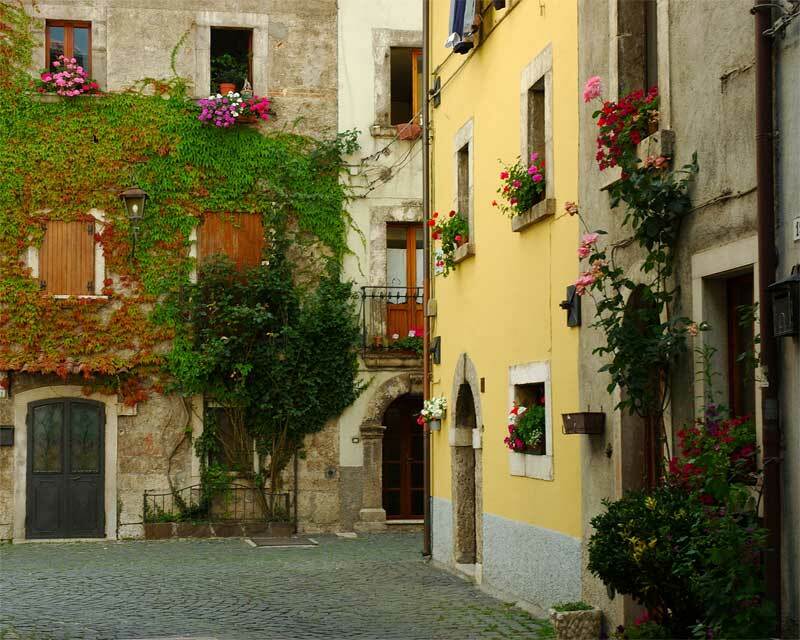 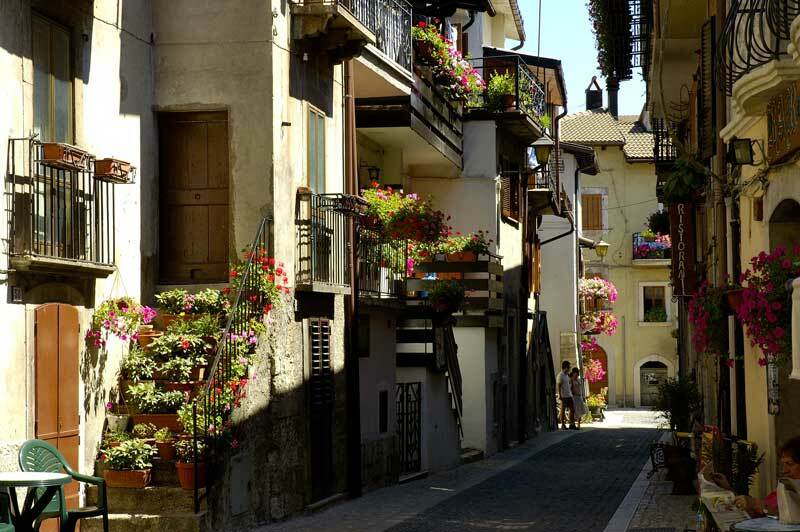 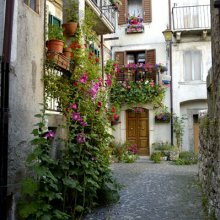 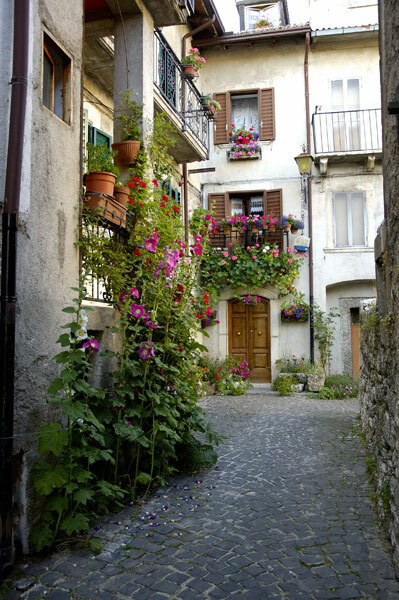 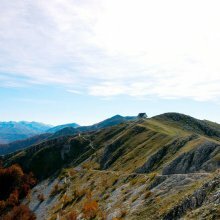 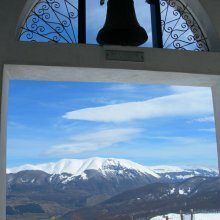 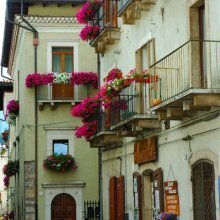 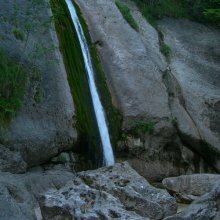 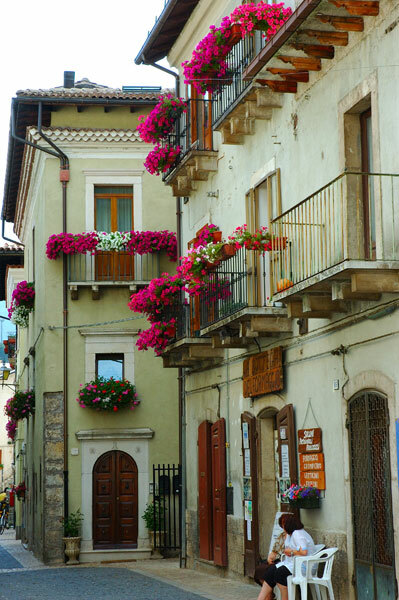 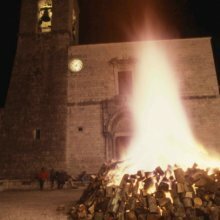 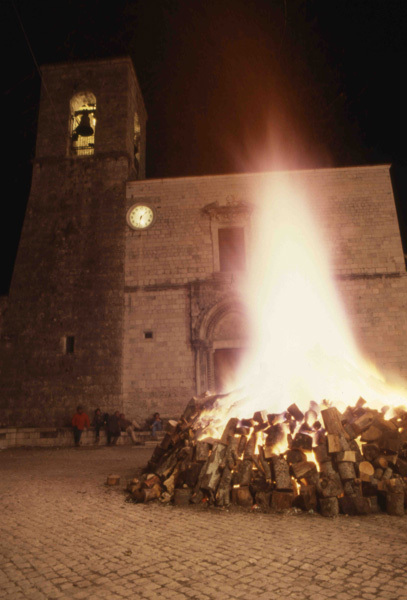 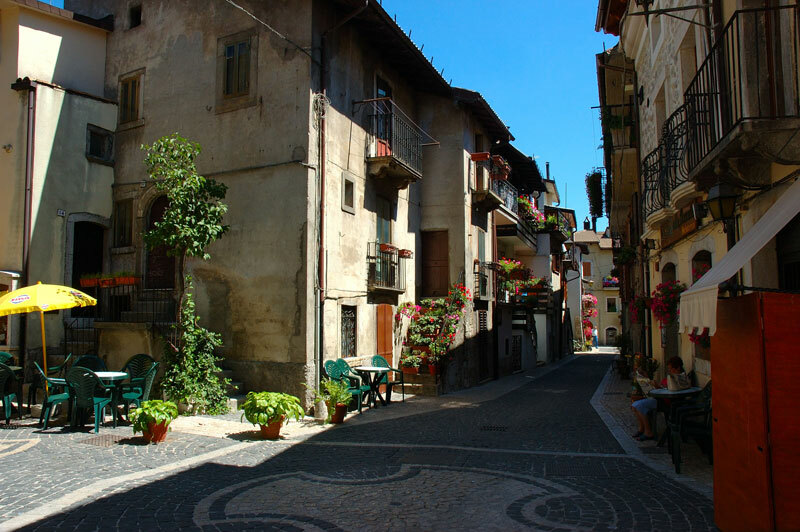 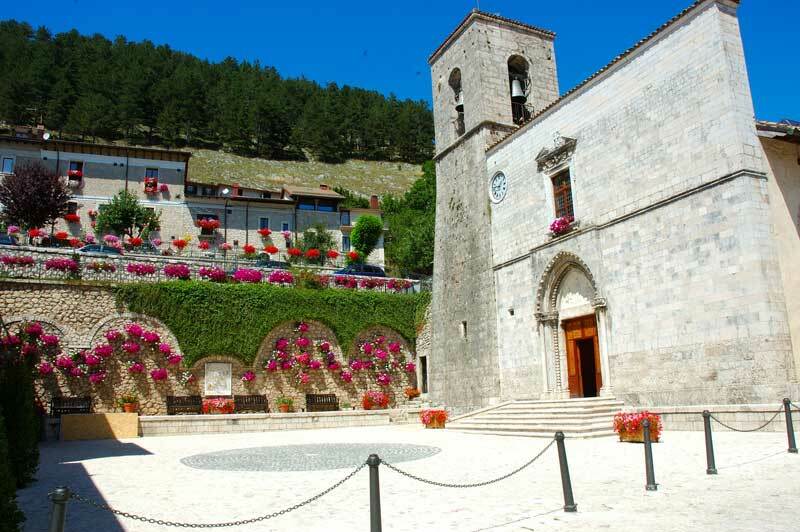 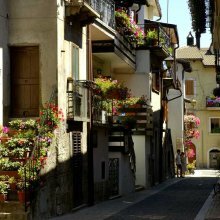 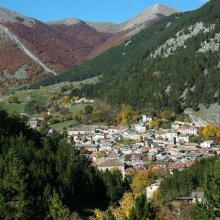 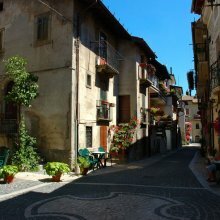 Every town offers its own typical specialities in wine, food, crafts and folk traditions.It is possible to visit these villages attached to mountain slopes by car, through highly suggestive scenic routes which wind even beyond the Park into the entire area of the mountains of the Abruzzi, Lazio and Molise regions. 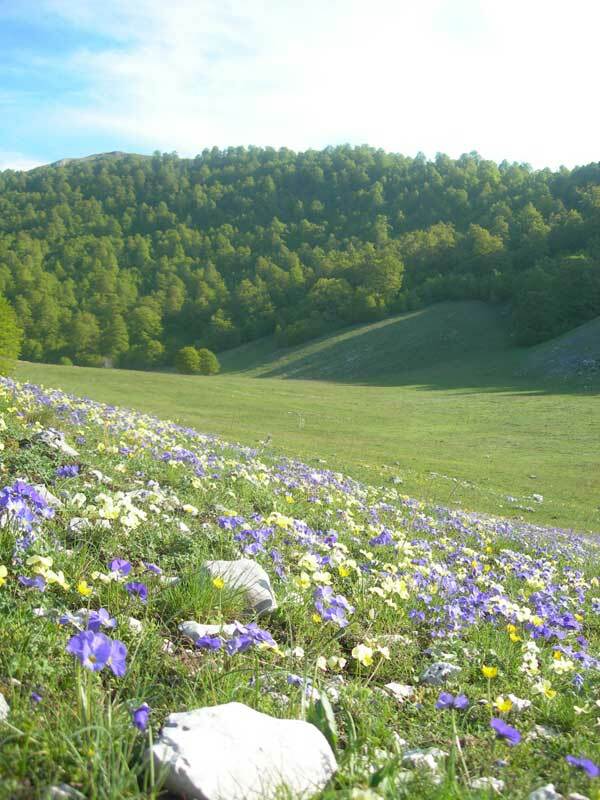 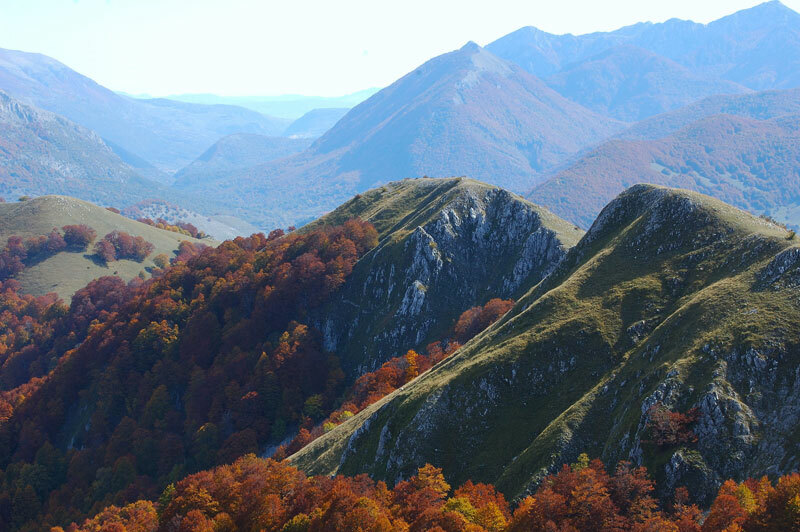 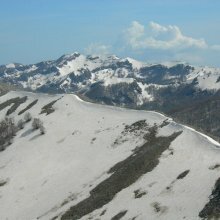 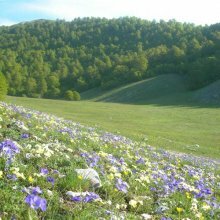 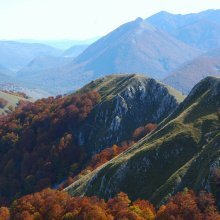 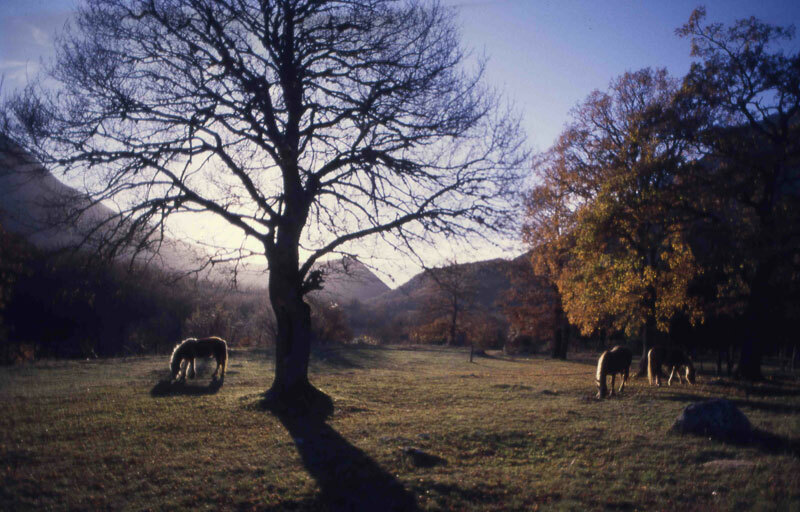 Pescasseroli is situated close to the borders of these three regions. 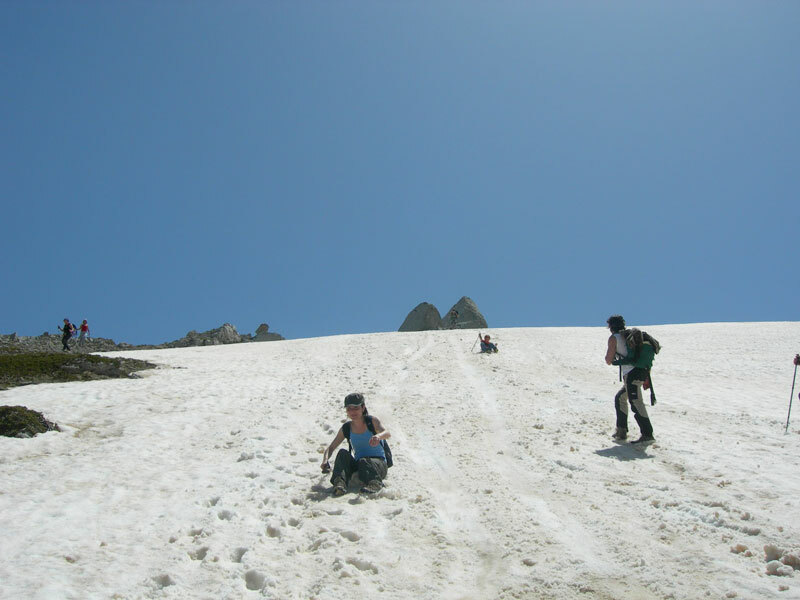 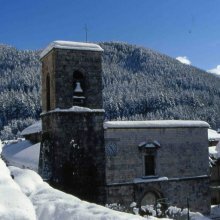 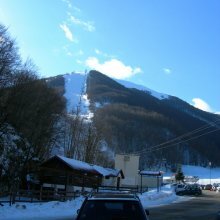 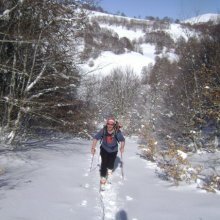 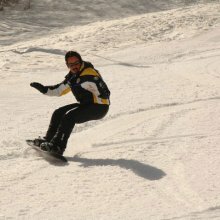 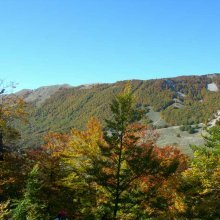 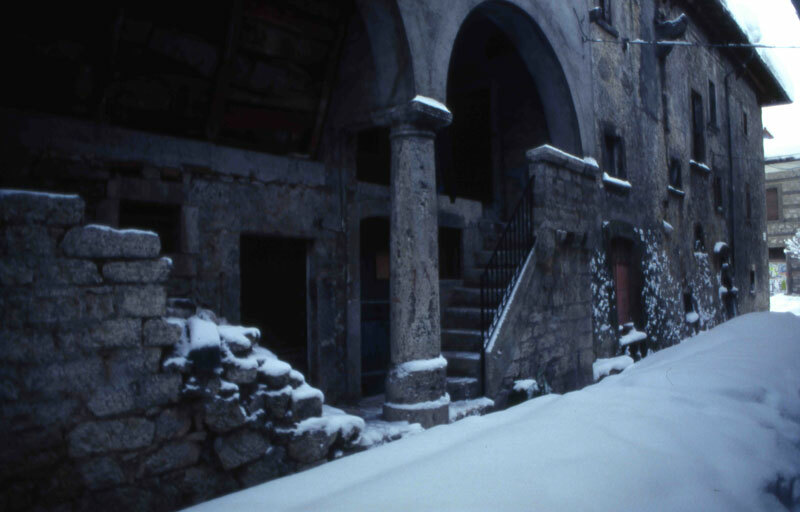 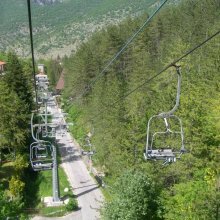 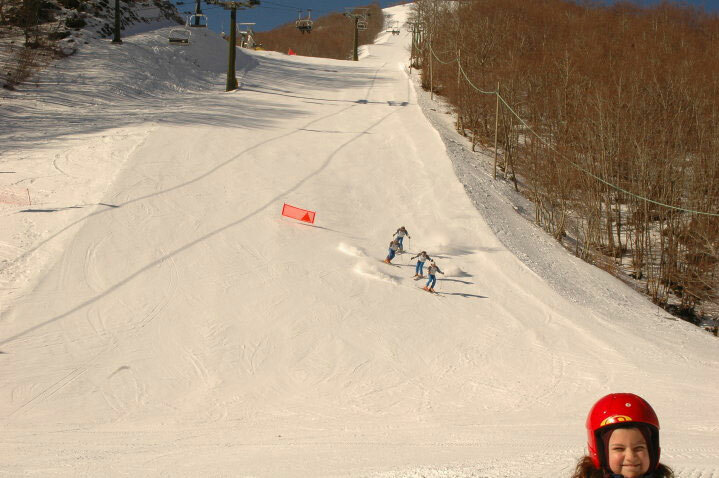 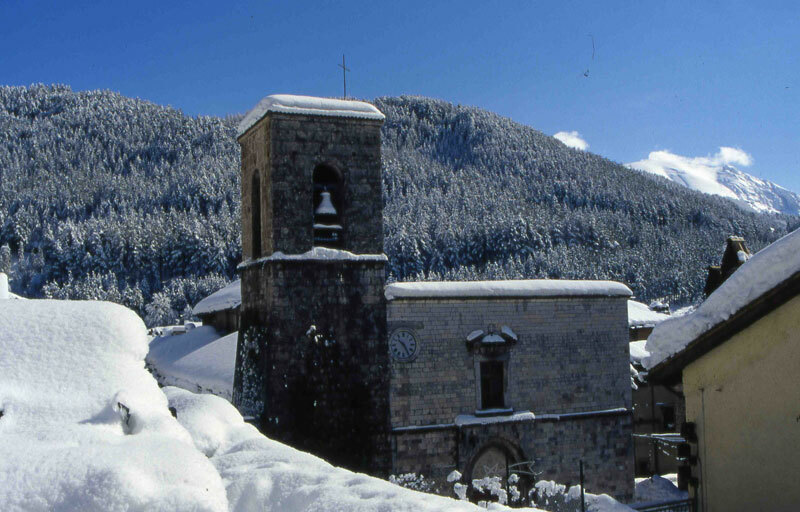 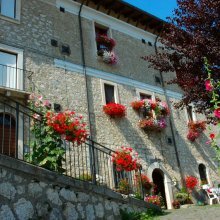 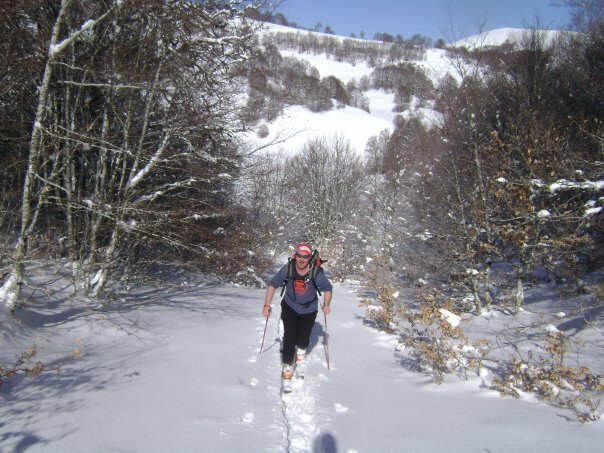 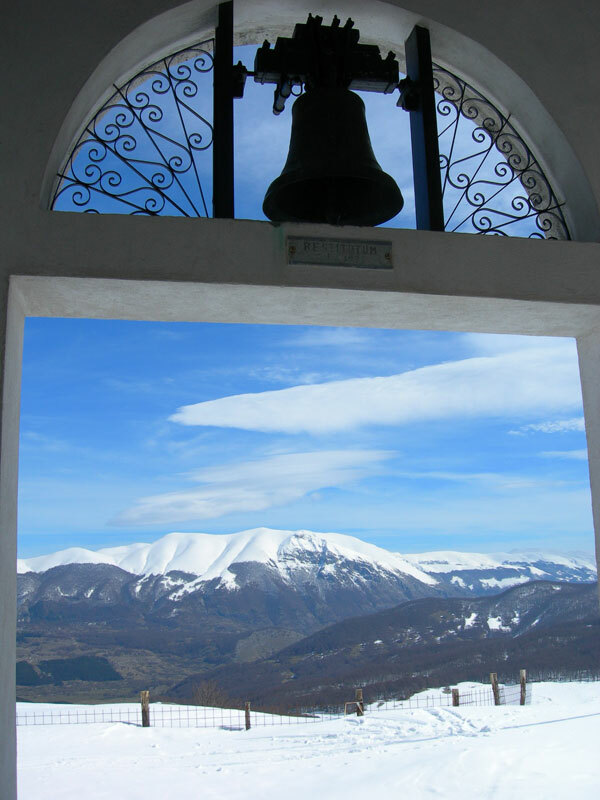 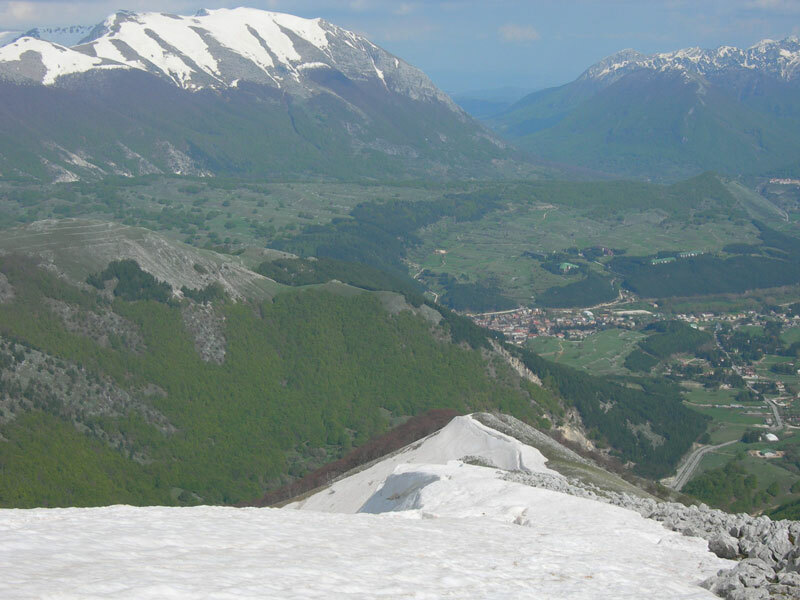 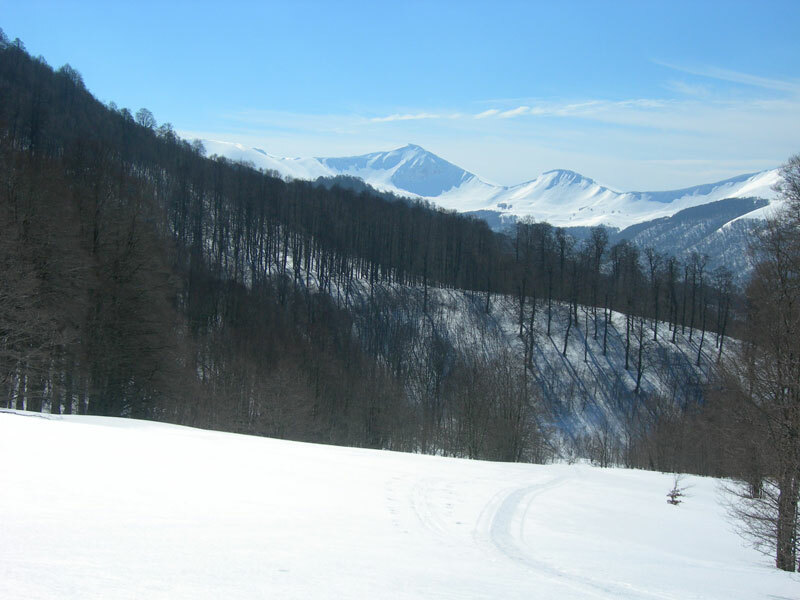 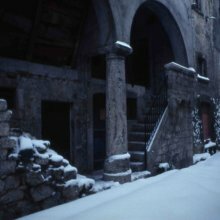 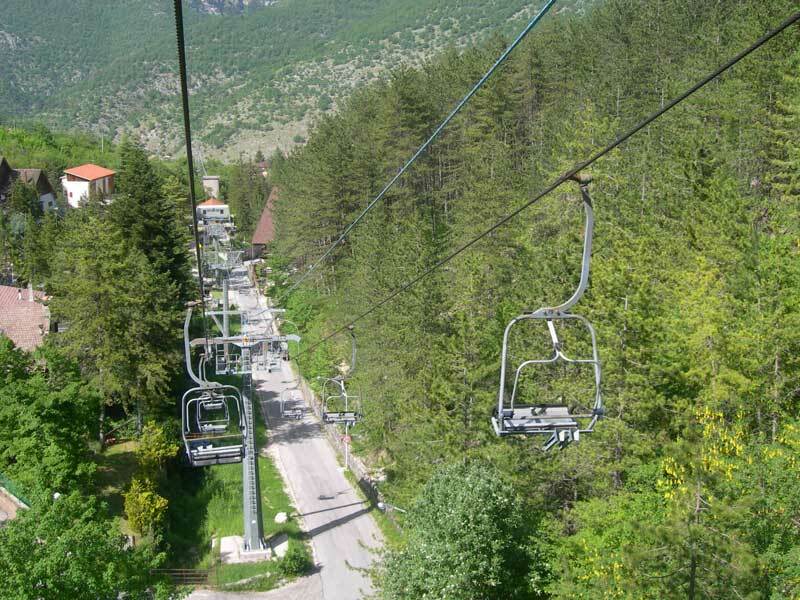 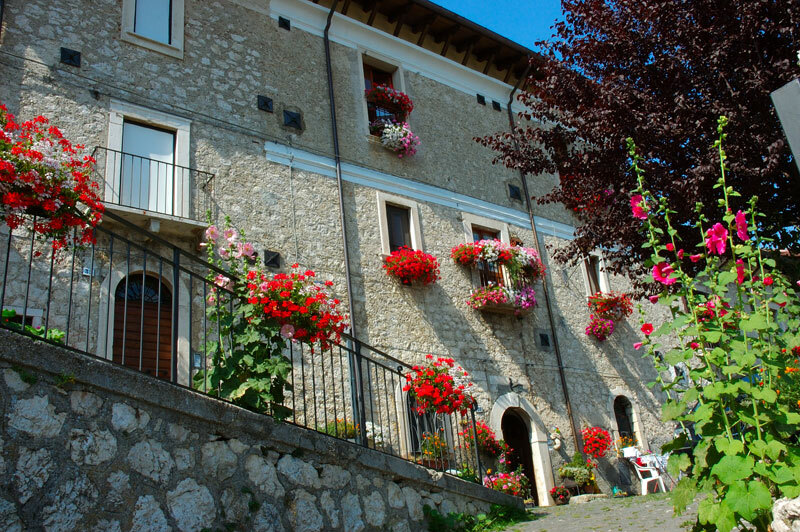 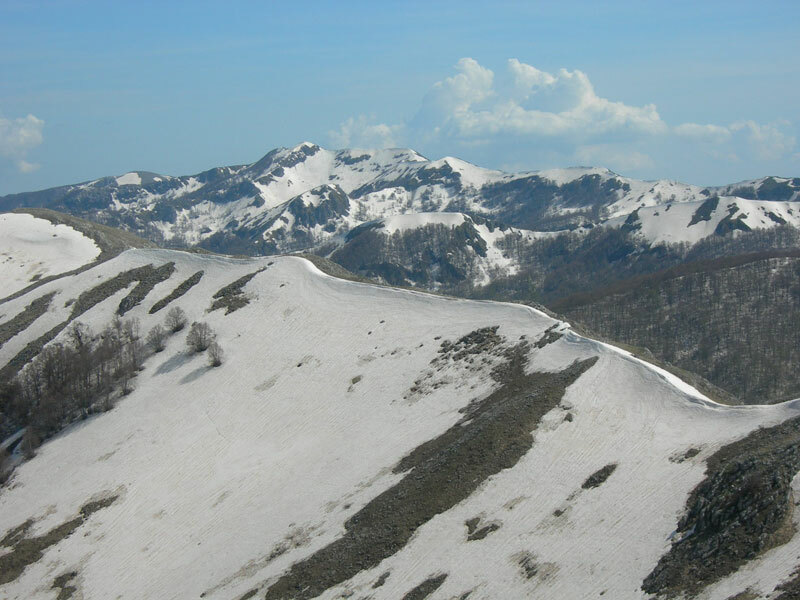 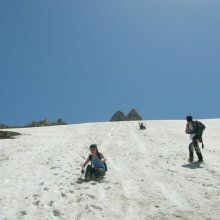 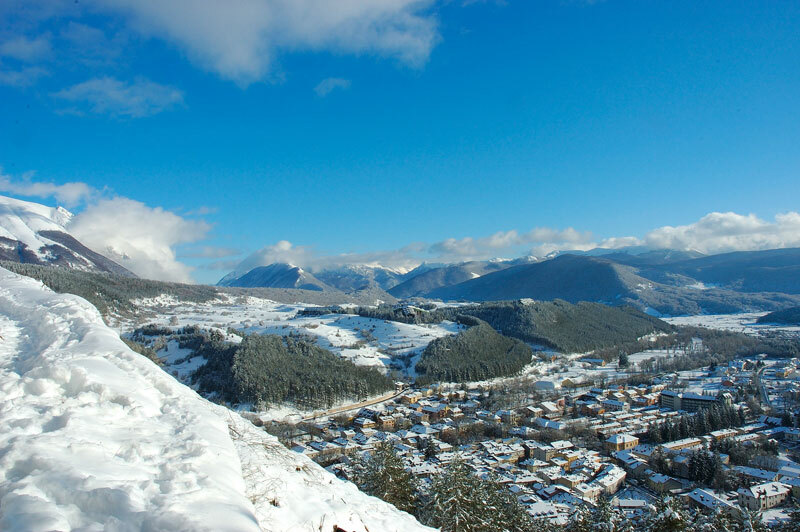 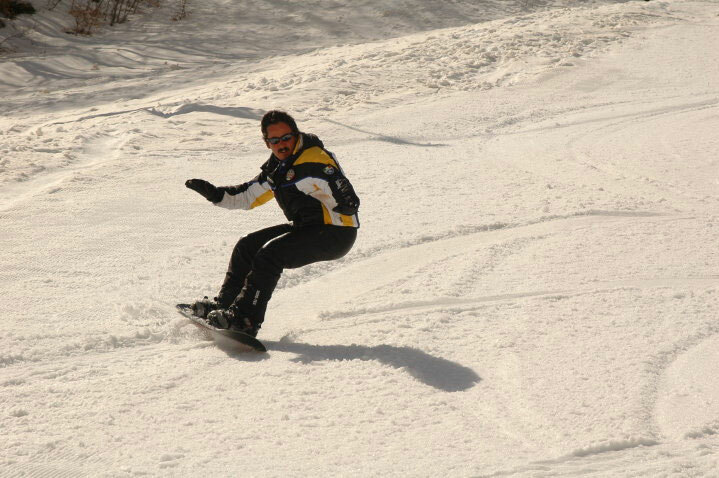 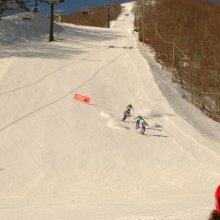 Pescasseroli is equipped for alpine skiing with numerous ski lifts, 20 km of ski runs and a ski school. 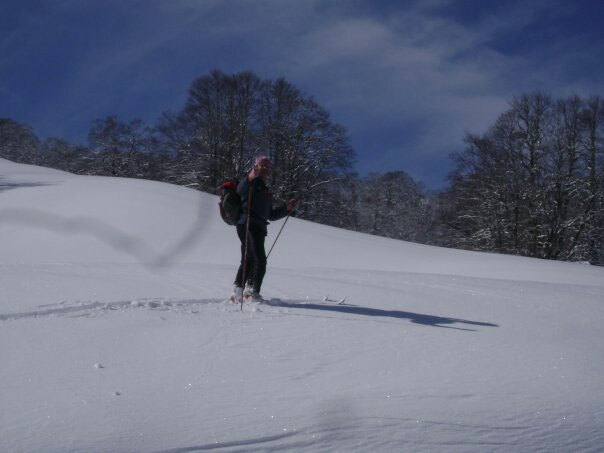 A few minutes’ drive away we also have a resort equipped for cross-country skiing, with relevant school and ski hire. 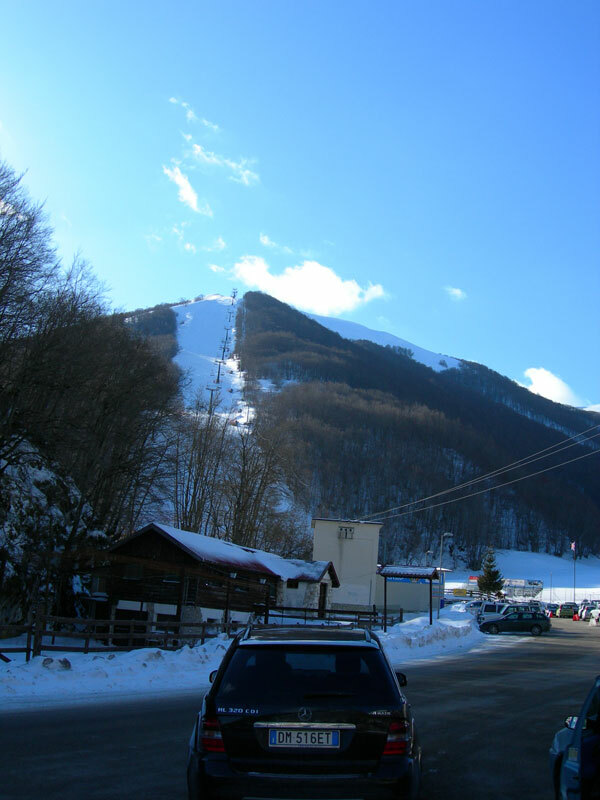 Less than 1 hour’s drive away there are also the most important ski resorts of the Abruzzi region, like Roccaraso, Campofelice, Ovindoli and Scanno.